If you have a job anything like mine, you’re probably sitting in a chair for 10+ hours every day with few chances to walk to a co-worker’s desk for a brief moment. Boredom strikes from every angle, cunningly disguised as hunger. Wait, sidebar– who brought donuts for breakfast? Before you know it you’ve eaten your daily carb, sugar and calorie intake for the day in less than 10 minutes. I didn’t always have a desk job (even the name for it sounds dreadful). Actually, I’ve NEVER had a job where all I do is sit on my behind until my current one. I used to run around malls, hotels and restaurants in six-inch heels for hours. Once I even ran up a couple flights in heels with a broken foot! There wasn’t even time for snacks, much less full meals. So, needless to say, the transition has been hard on my ever-growing love handles. It’s been tough to try to lose the pounds I’ve packed on, so I researched some healthy alternatives that satisfy the hunger demons without compromising my waist size. I placed this snack first on my list because it’s my saving grace. Depending on how much sugar, oil or salt you season it with, the calories can add up. It’s best to go without any add-ons. Popcorn is actually really good on it’s own, but I make an exception for Skinny Pop’s Sharp Cheddar Popcorn Mini Cakes (pictured in featured image)! At a mere 60 calories per 10 ‘cakes’, they are a snack STEAL. It’s low-calorie, gluten-free, non-GMO, whole-grain and rich with antioxidants! A great distraction for your gurgling stomach before lunch is fruit with Greek vanilla yogurt. It’s sweet and satisfying. Why Greek yogurt you ask? It’s so much better for you all around. It has twice the amount of protein than your standard yogurt. I usually add an assortment of mixed berries including blueberries, blackberries, strawberries and raspberries. Then I sprinkle 3 pinches of chia seeds and a single pinch of flax seeds for extra benefits. If you’ve never used Chia seeds before, you are in for a treat. Chia seeds are full of nutrients including omega-3 fatty acids and have been proven to help people feel full for longer with their high fiber content. You add them to cereal, yogurt, oatmeal, smoothies, water or even coconut milk. If you add them to your meal and leave them for a little while, they will swell. Don’t freak out, they taste best like this. I sometimes even purposely wait for them to swell before I eat. Another healthy snack idea while I’m chia ranting: add 2 tablespoons to a cup of coconut milk, put it in the fridge and wait for them to swell. Add fruit and some honey if you’d like. It’s like a gourmet dessert pudding– but better for you! Same goes for flax seeds. This versatile topping has a very healthy reputation. According to WebMD, some even call it one of the most powerful plant foods on the planet. Recent studies have proven that flaxseed can protect against heart attacks, Parkinson’s disease, breast cancer, prostate cancer and colon cancer. Whole wheat English muffins will save your dollar and your diet. You can dress them up in a variety of different ways, so you’ll never get bored of them like the usual diet food. They are high-fiber and low-fat with a dash of calcium, phosphorus, magnesium, and selenium. All great ingredients that make up the perfect weight loss breakfast food. Beware, the more you add to the toast, the more calories you take in. 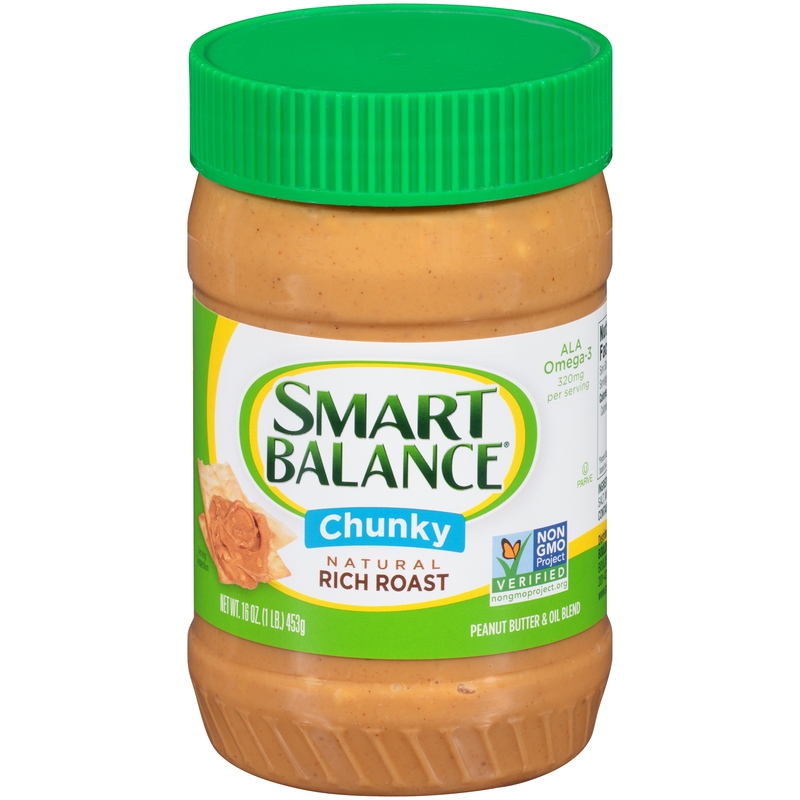 To help me feel fuller, longer I add Smart Balance’s Crunchy Peanut Butter. This option is healthier for you than the standard low-sugar peanut butter for a few reasons. First, they add flax oil to their product meaning you get a healthy dose of omega-3 fatty acids. Second, eaten in moderation, it provides you with less saturated fat and sugar. Third, if you add whole grain to this peanut butter choice the combination gives you access protein. Lastly, Smart Balance Peanut Butter promotes the health of skin and nerves with 20 percent of your daily value of vitamin B3 per serving. It also contains vitamin E, thiamin, potassium and iron. This one’s not as cool or exciting but it most definitely keeps your hunger at bay. Hard-boiled eggs good, heart-healthy fats called monounsaturated and polyunsaturated fats. This healthy snack is a great source of protein which helps you build muscle and repair tissue. It also provides you with vitamin A which promotes eye health, and vitamin D which promotes strong bones through calcium. I workout after work four to five days a week so I need my protein. If you don’t work out much or you’re having a slow week cut the egg in half and throw out its yolk center. Also, refrain from adding salt– please and thank you. Pro Tip: Avoid stinking up your entire house for hours by making a quick run to your local grocery store and grabbing sodium free, pre-boiled eggs. I am totally a chip person. I love CHIPS. Hi I’m Skinny Sticks have helped me replace my unhealthy finger-food habit. They have a variety of flavors, but the overall best I have found is their ‘Mean & Green’ Superfood sticks. Although it’s certainly not the best tasting option they sell, it’s their most nutritional option. It’s packed with vitamin C, calcium, fiber, protein and iron. My favorite part is that they have familiar ingredients that I’m not afraid to put in my body, so there’s no guessing. Their very first ingredient is green veggies including kale, peas and spinach! The best part is, they are only 130 calories per 35 sticks. What healthy snack did I miss? Which is your favorite? Tell me in the comments section below! Flash Drives for Freedom is a Human Rights Foundation and Forum 280 initiative aimed at informing and educating the citizens of North Korea through the use of USBs. Activist groups based in South Korea secretly bring flash drives into the country via balloons, rivers or land. They are loaded with current news, books and even entertainment like reality shows. Their end goal is to arm North Koreans with freedom of mind by providing them with facts that dispel Kim Jong-Un’s propaganda. When I first started my position at USB Memory Direct we were already sponsors of the project. It wasn’t until Flash Drives for Freedom pitched a tent at SXSW 2017, one of the largest most influential conferences on the globe, that I became more actively involved with our partnership. To be honest, it has always been a dream of mine to work for a tech lead non-profit and our sponsorship gave me a little taste of what it would be like. It’s not every day a small company gets the chance to be represented by the Human Rights Foundation in front of a massive crowd. So for this event, we thought big. USB Memory Direct launched a viral social media campaign during the weekend of SXSW that would match any number of mentions using #FlashDrivesForFreedom with a USB donation to support the cause. As tens of thousands of conference goers passed by the booth of Flash Drives for Freedom, they either donated a memory stick of their own or took to social media and posted #FlashDrivesForFreedom to @USBMemoryDirect. The response was overwhelming. At first, we limited the mentions to Twitter but due to the activity on all platforms we opened the donations to include mentions on Facebook and Instagram as well. Within two days over 550 mentions were posted, reposted and shared. Since there were no limits set, we counted each and every hashtag @-ing our company. We also responded to each tweet with either a comment or a ‘like’ as a receipt of donation. The campaign took off on the first Saturday of the event. I was out at lunch with my family when our social media manager, Jon, called me. He said our social was blowing up like never before. We were super excited! To keep the momentum going, we put together a list of political influencers keen on the North Korea debate to Tweet the campaign’s shareable at. The list included some Ted Talk activist, public officials and companies at the SXSW conference. The initiative captured so much attention, that the Human Rights Foundation came out on top as the 3rd most loved brand at SXSW on Twitter alongside Nickelodeon, IBM Systems, Twitch and WWE. If you were given this same opportunity, what would you have done differently or added to this campaign to expose your company further?